Sublime, playful and provocative – these images are redefining the genre of travel photography. If you search ‘travel photography’ on Google, you’ll immediately be bombarded by blindingly saturated images of men on mountains, and people wistfully holding cameras to their chests in daisy fields. Needless to say travel photography, as we know it, is synonymous with garish photoshop editing, and a superficial connection between photographer and the places and people being photographed. Challenging this is 24-year-old Toronto-based visual artist Sofia Mesa. Last year, Mesa travelled to Europe for the first time (she visited Greece, Switzerland and England) and began a candid exploration of what it means to be a young woman travelling today. 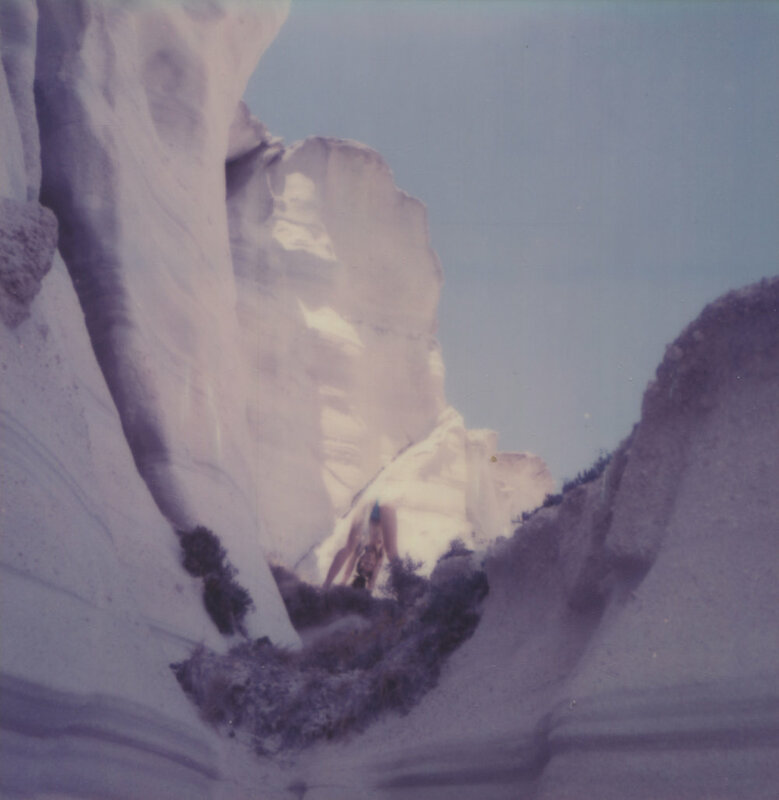 These honest, playful and experimental photographs were captured using her father’s polaroid camera – the one he too had used to photograph the continent when he first visited. She explains: “I wanted to experiment with conventional European landscapes, the performativity of being a subject, and 'the polaroid' as it relates to travel photography and documentation.” Central to Mesa’s work is the connection between the body and its surrounding environments – the fraught relationship between subject and space. Unlike traditional travel photography, Mesa’s work is created through the bold perspective of the female gaze – the eyes and lens of a young woman coming to terms with her body, her identity, and how it relates to the world she occupies.